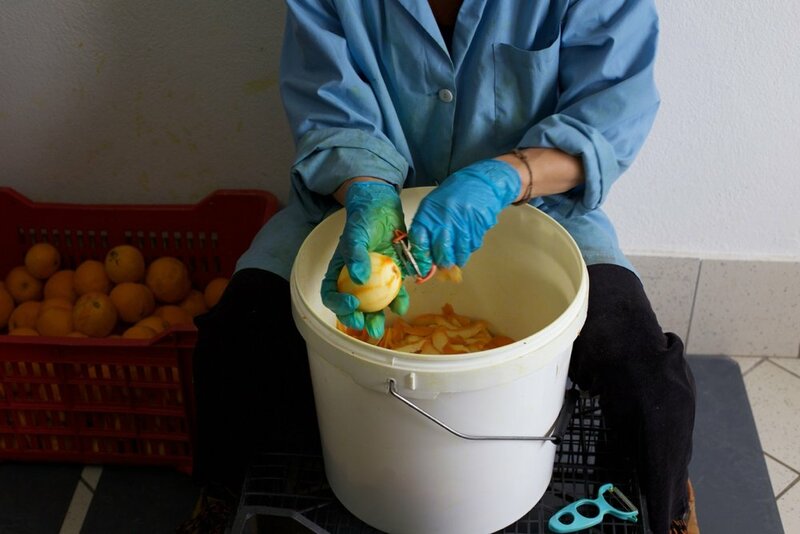 Paolo Melis and Enrico Diana started Bresca Dorada in 1986, in the wild inland countryside of Sardinia, near Muravera. They were both from the city of Cagliari, and had met at a bee-keeping course. They started with honey, of course, and other bee-related products, then became known for their home-made Mirto liqueur; they now also produce a green Mirto made from myrtle leaves, two citrus liqueurs and an amaro, all made from local ingredients in a very ‘green’ facility. 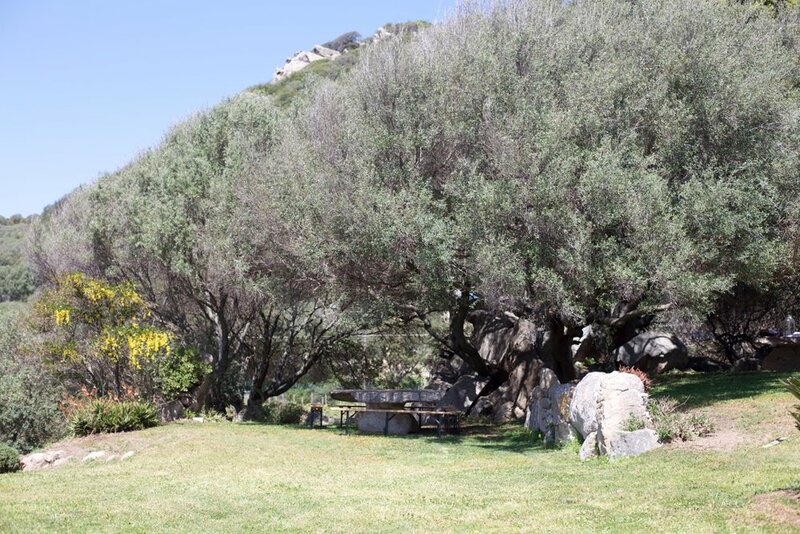 Wild myrtle bushes grow all over the island of Sardinia. Their berries are fruity in flavor but also distinctively spicy, sometimes used in cooking in place of pepper. Mirto, the classic liqueur and digestivo from Sardinia, made from an infusion of myrtle berries in alcohol with sugar added. Bresca Dorada’s Mirto berries are harvested by hand in the inland parts of the island, mostly from wild plants with a small amount of cultivated fruit. The harvest takes place between November and January; the berries are macerated in pure grain alcohol for at least three months, to give a slow and complete extraction of aromatic substances. The only additions are sugar, honey (up to 10% of the sweetener, more would give too much of a honey flavor) and water (to reach the right proof for drinking). I love a glass of this after dinner as a digestivo, and is a very useful ingredient in craft cocktails. The flavor is fruity, spicy, and very distinctive, not too sweet. 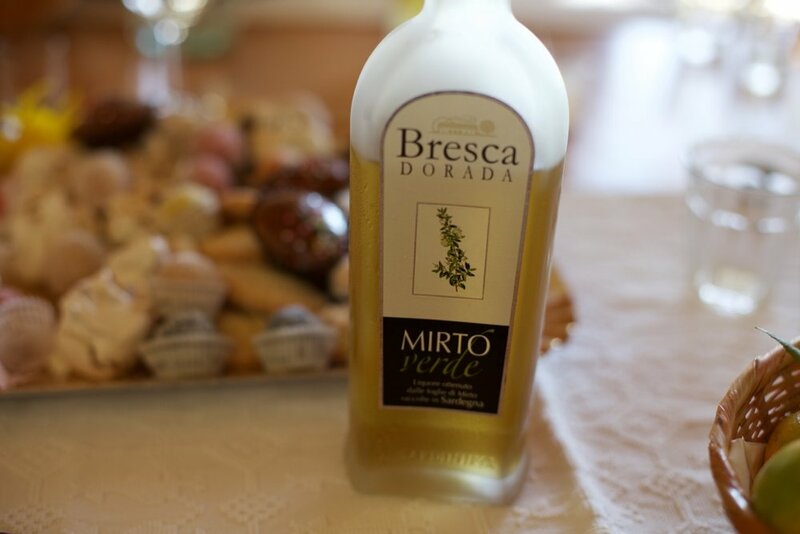 Bresca Dorada Mirto is different from many other examples of Mirto for a variety of reasons. - More berries are used than is normal, around 200 grams (almost half a pound) for every liter of product. - Honey is used for part of the sweetening, which allows less sugar to be used (as honey is sweeter than sugar). - It is completely natural, with no added flavoring, coloring (such as caramel) or stabilizers. Mirto Verde is a rarer liqueur than classic Mirto. It is made of freshly hand-harvested myrtle leaves and flowers from the inland part of Sardinia known as Sette Fratelli, around the estate. 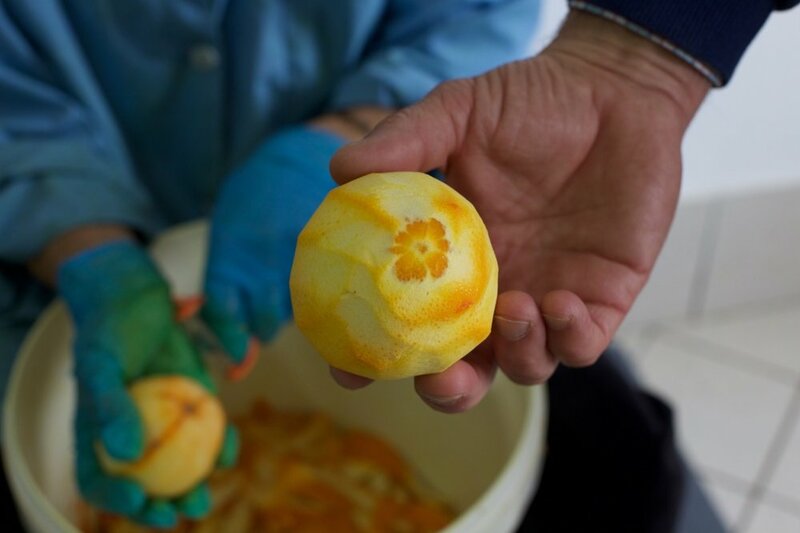 (The leaves must come from close to the estate because they must be infused immediately after picking.) The leaves are infused in pure grain alcohol for at least two months for a slow and complete extraction of aromatic substances. The only additions are sugar, honey (up to 5% of the sweetener, more would give too much of a honey flavor) and water (to reach the right proof for drinking). Myrtle leaves are used in Sardinian cooking, for example to flavor suckling pig, and they are spicy and said to be reminiscent of orange. Bresca Dorada’s Mirto Verde is subtle, distinctive, and very flavorful, with a long savory finish. Great after dinner or in cocktails. Mirtamaro is an amaro (bitter liqueur) made mostly of Sardinian botanicals infused in pure grain alcohol then blended with both green and red Mirto. This is a very complex, balanced drink, with notes that are reminiscent of licorice, mint, forest-floor and maybe a hint of citrus. I drink amaro after dinner as a digestivo, but it can be a very useful addition to craft cocktails, too. On the Entirely Arbitrary Amaro Bitterness Scale we grade this 7/10.